Day two of Royal Ascot begins with the Queen Mary Stakes for two-year-old fillies over the flying five furlongs and legendary American trainer Wesley Ward has long been of the opinion that Chelsea Cloisters (2.30) was his best chance of a winner at the meeting. The filly won her sole start in the States by 8l on dirt at Keeneland back in April and Frankie Dettori takes the ride this afternoon. Ward has saddled the winner of this corresponding race twice in the last three years and this dirt-bred juvenile must show she can be as equally effective on turf. The selection is 7/4 at BetVictor and is reported to have trained very well on grass ahead of the race. Stream Of Stars (3.05) may not have beat a great deal over 12f here last month but he looked a colt of some potential and gets the each way vote in the Queen’s Vase. John Gosden’s Sea The Stars colt looks sure to appreciate the additional couple of furlongs this afternoon and is open to considerable improvement after just two careers starts. Frankie Dettori takes the mount on an each way selection who is 6/1 with BetVictor. Aidan O’Brien’s Hydrangea is the 5/4 market leader for the Duke Of Cambridge Stakes and is a thoroughly likeable, versatile filly who ran over a mile-and-a-half on her reappearance and drops down in trip by half a mile this afternoon. She is a worthy market leader but Aljazzi (3.45) finished runner up in the corresponding race 12 months ago and gets the each way vote this afternoon. William Buick takes the rise on Marco Botti’s five-year-old who divided two top class French fillies’ last year. She has every chance of going one better at 7/2 with BetVictor. The selection made a very pleasing comeback when third on ground softer than ideal against the boys at Sandown and she is entitled to come on for the run. Note the selection receives 5lbs from Hydrangea which could prove decisive. The big race of the day is the Group 1 Prince Of Wales’s Stakes and, on what could be a red-letter day for Dettori, it is hard to get away from Cracksman (4.20) who won the Coronation Cup – despite valid excuses – at Epsom last time and can take his unbeaten record to six. The son of Frankel has never raced on ground with firm in the official description but that should not be an issue although his best runs to date have, arguably, been with plenty of cut in the ground. Poets Word has 7l to find on Champions’ Stakes running over C&D last autumn and it can hardly be described as a vintage renewal of this great race. Cracksman is 8/13 at BetVictor and is difficult to oppose. The Royal Hunt Cup is one of the big betting races of the year and BetVictor are paying five places on the mile cavalry charge. My two against the field are Tricorn (4.55) and Afaak with marginal preference for the former who is weighted to reverse last year’s Britannia Stakes running with Bless Him for John Gosden. 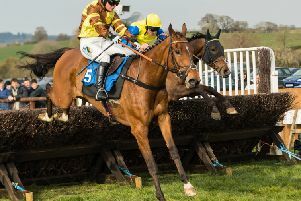 The selection made an encouraging reappearance at Nottingham on ground softer than ideal last month and it would be fair to say he wasn’t knocked about. The selection is 16/1 at BetVictor and gets an each way recommendation. The Jersey Stakes is one of my favourite races of the meeting and my two against the field are the once-raced Arabian Coast and Expert Eye (5.30) and I am going to give the latter another chance to show he was no juvenile flash-in-the-pan. Things haven’t gone according to plan this season for Sir Michael Stoute’s colt, but he is likely to appreciate the return to 7f this afternoon and he is given one last chance to return to the form of his Gp 2 Vintage Stakes success at Goodwood back in July. The selection is 10/1 at BetVictor and is another each way selection on what promises to be a wonderful days racing.